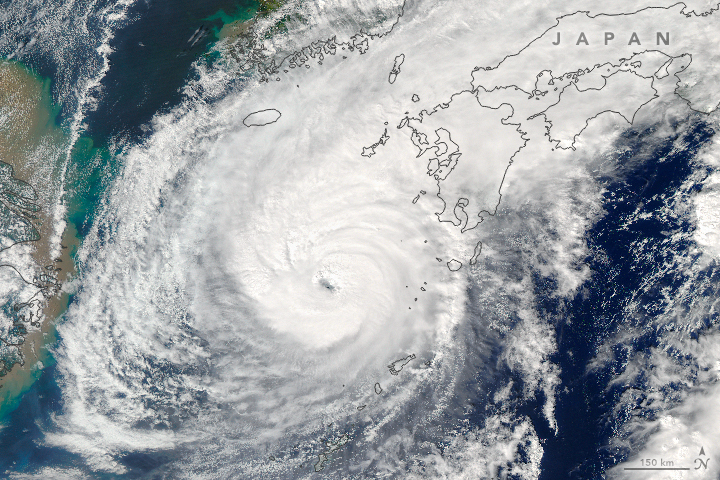 A strong typhoon made landfall on southwestern Japan on Tuesday, bringing heavy rain that caused floods, forcing flight cancellations and prompting local authorities to issue evacuation advisories for more than 600,000 residents. Typhoon Malakas is expected to head northeast along Japan's Pacific coast towards Tokyo before going out into the Pacific Ocean by early Wednesday morning, the Japan Meteorological Agency said. It will likely be downgraded to a depression by 9:00 a.m. on Wednesday, the agency said. In six prefectures in western Japan including Kumamoto, which is still recovering from strong earthquakes that hit the region earlier this year, evacuation advisories were issued for about 632,500 people, Jiji news agency said. Jiji said two people were slightly injured in southern Kyushu, while public broadcaster NHK reported more than 100 domestic flights have been cancelled. The Meteorological Agency said torrential rain is expected on Japan's Pacific coast towards Tuesday night, and has advised caution against floods, mudslides and high waves.